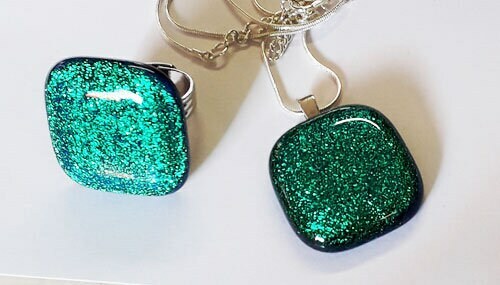 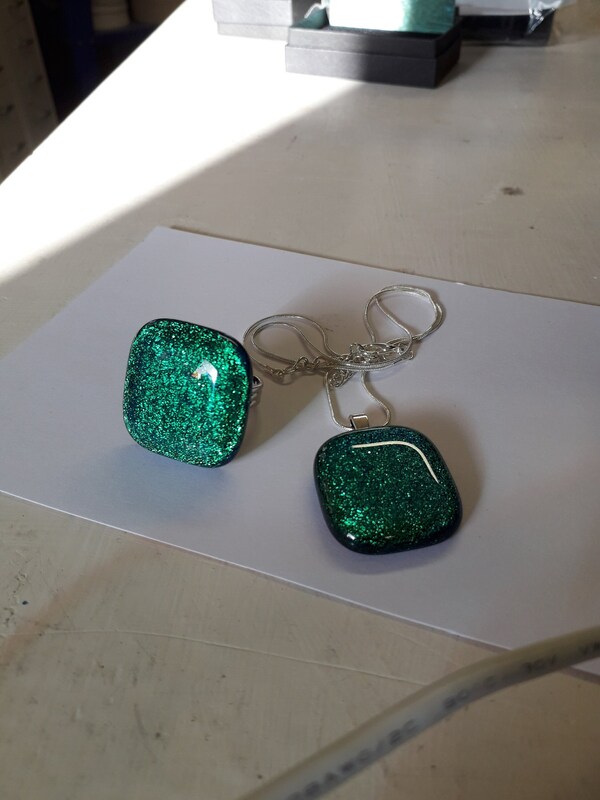 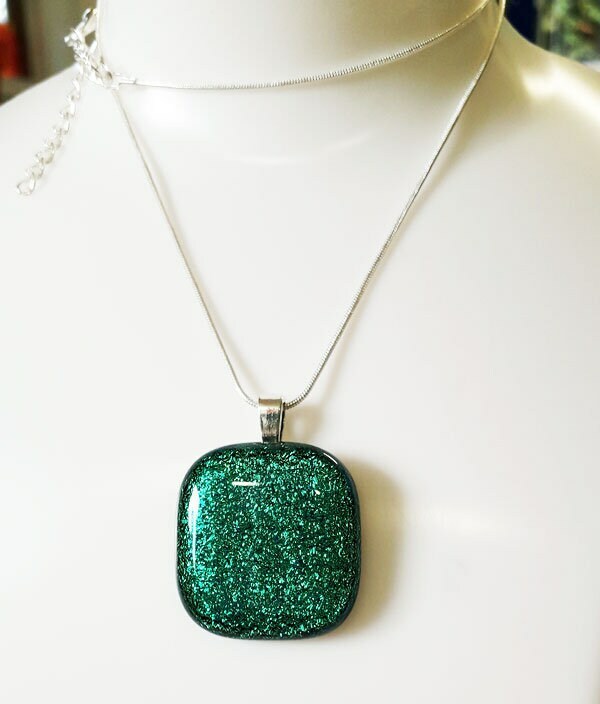 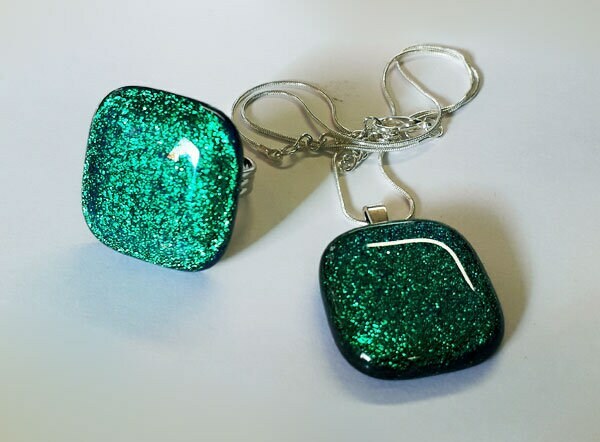 This set is made from dichroic glass in a very bright green. 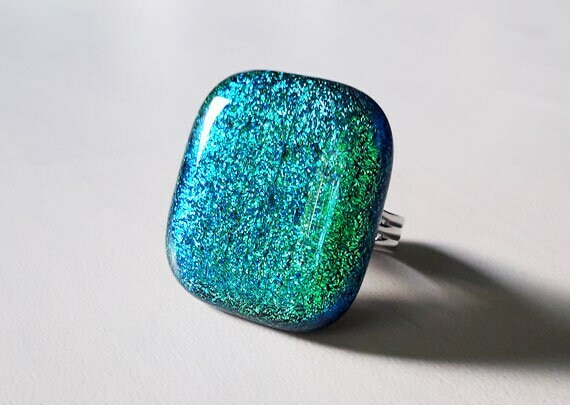 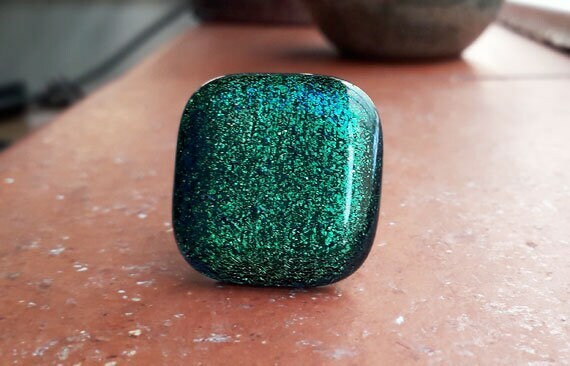 Most dichroic glass changes colour as you move it around in the light - these pieces are green when you see them straight on, and blue/green from the sides. 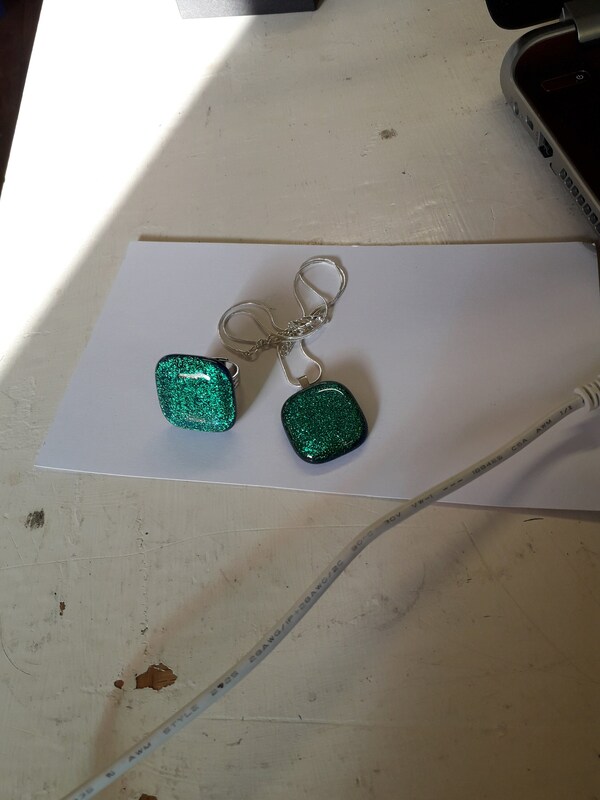 The pendant is about 26mm x 26mm, and hangs from a silver snake chain on a silver bail. 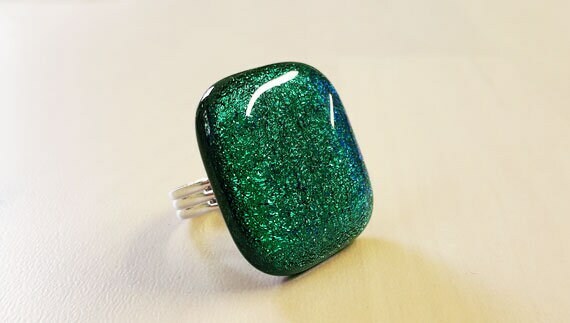 The ring is about 27mm x 27mm and has a silver band.